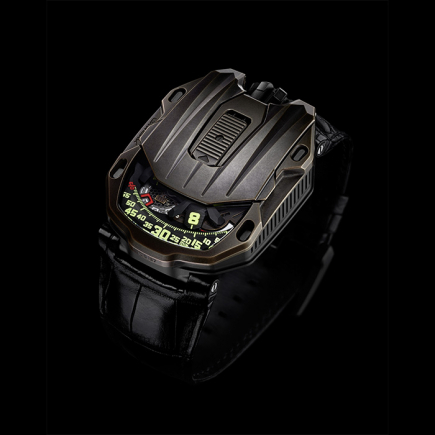 urwerk | 155'500 € Tax inc.
C3H5N3O9 is an experimental platform, not a luxury brand. 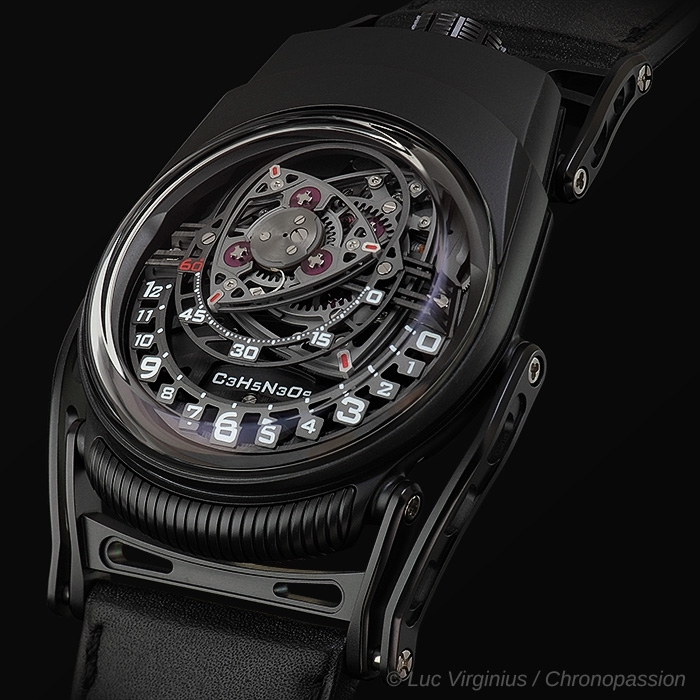 Experiment ZR012 by C3H5N3O9 features Wankel engine inspired hour and minute indications in an asymmetrical zirconium case with articulated and compound lugs. 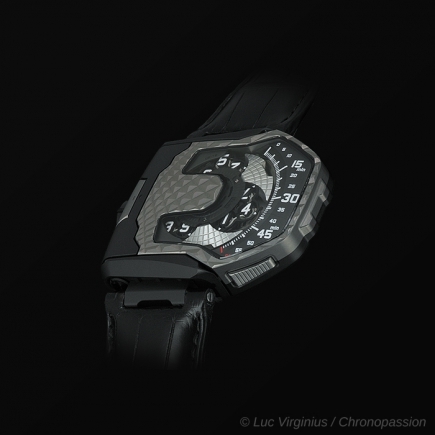 At first glance the time appears to be indicated by centrally rotating triangular rotors; however, the triangles are actually Reuleaux polygons; they rotate eccentrically rather than centrally and track complex epitrochroid curves rather than circles. The system was inspired by the Wankel engine, which features orbital Reuleaux polygon rotors rather than the reciprocating pistons that power the majority of our cars and machines today. 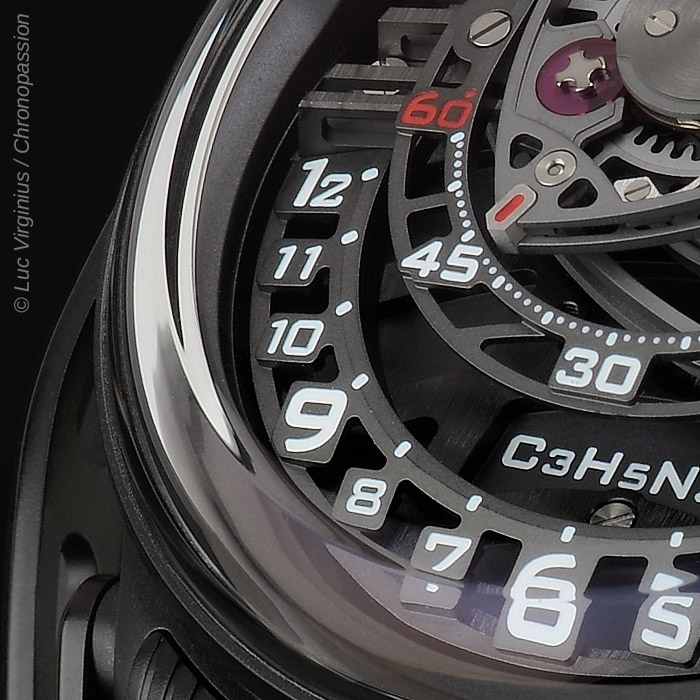 C3H5N3O9 is a platform created by Felix Baumgartner, Maximilian Büsser, Martin Frei and Serge Kriknoff to experiment with concepts, ideas and creations without the inherent limitations of a luxury brand. 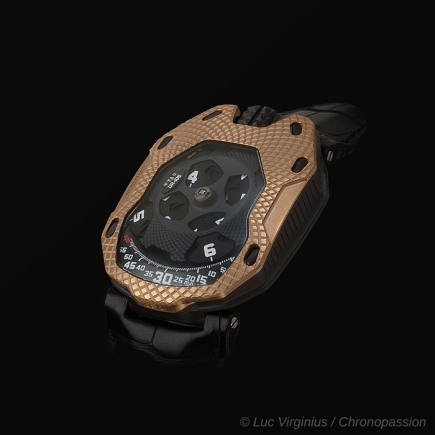 Indications: Experiment ZRO12 indicates hours and minutes with two Wankel engine inspired eccentric rotating Reuleaux polygons (triangular-shaped rotors). 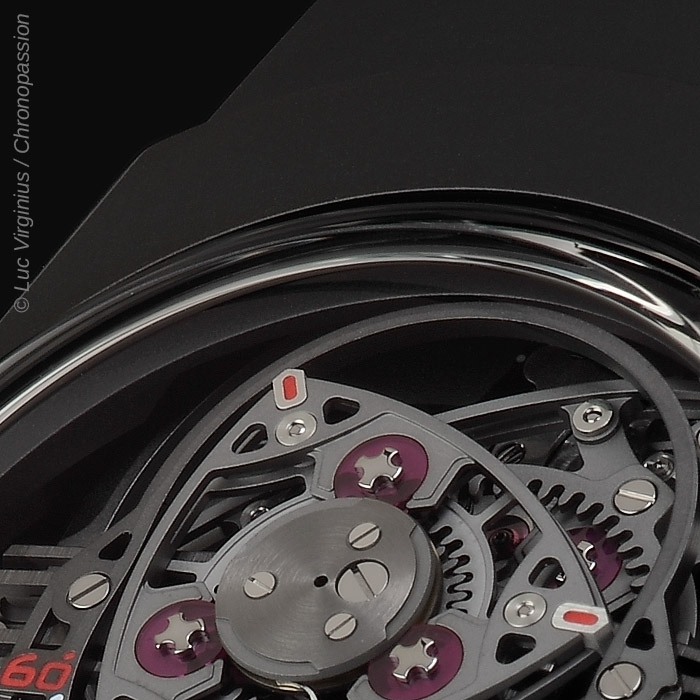 Hours are indicated by the lower rotor along the front of the 'dial', while minutes are indicated by the smaller upper rotor. 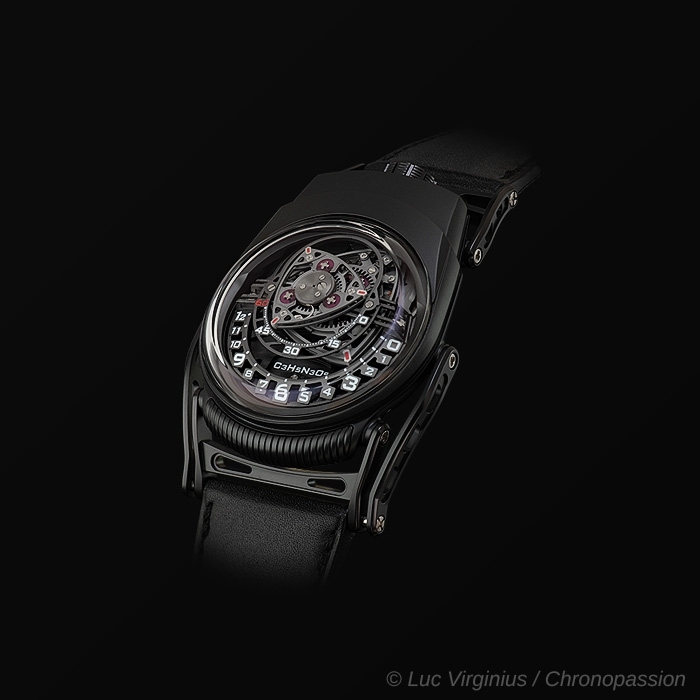 Epitrochoid curves: Time is by the tips of the Reuleaux polygon rotors tracing epitrochoid curves. To create the complex shape of the hour and minute epitrochoid curves with the high precision required 180 separate points were plotted. 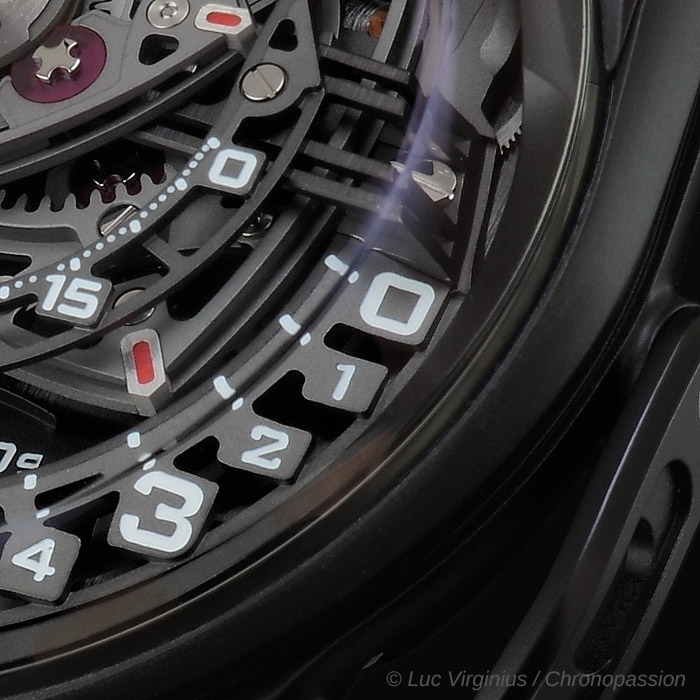 There is tolerance of just o.2omm between the triangular rotors - the special shape is actually called a Reuleaux polygon - and the hour and minute marked epitrochoids surrounding them. 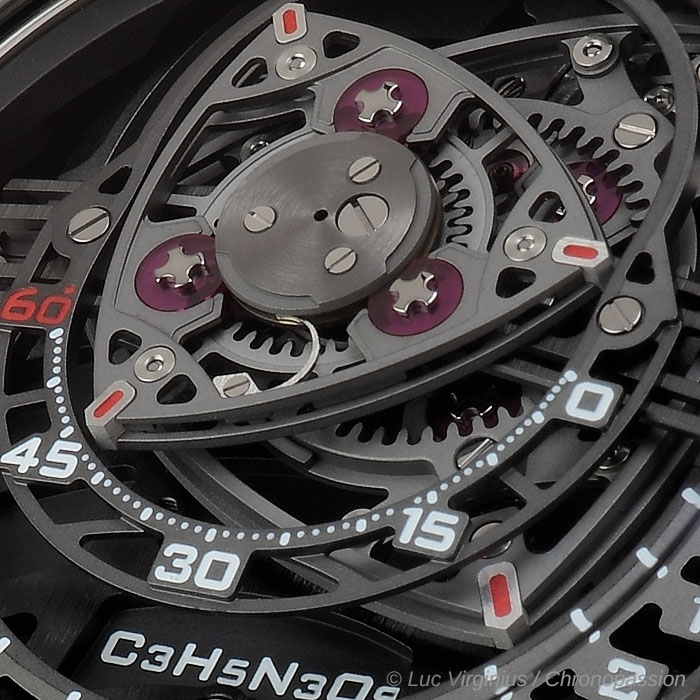 Complication: The Reuleaux polygon (triangular-shaped) rotors are eccentric, i.e. not mounted directly to the central 'crankshaft' and they demand considerable time, skill and patience to set up correctly in assembly process. 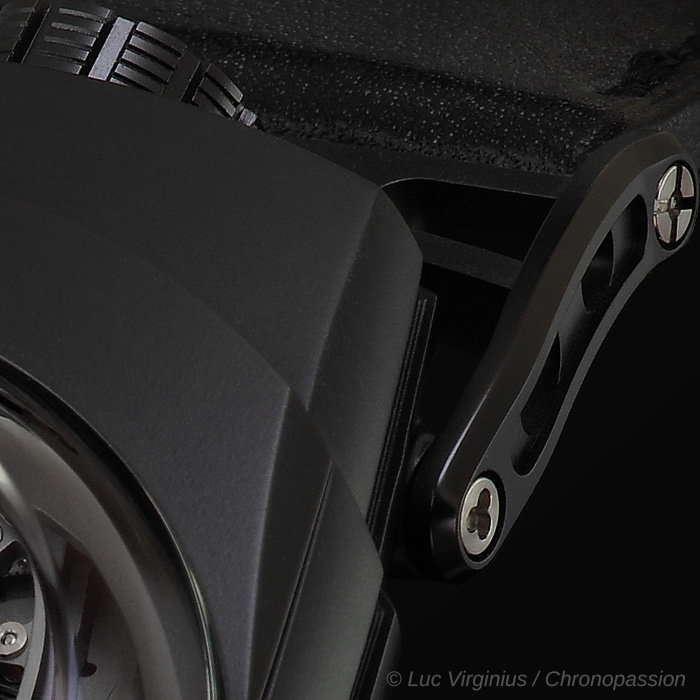 To ensure extremely high precision adjustment the fixed wheels can be rotated slightly (then re-fixed) to allow fine adjustment and synchronised precision between the hour and minute indicators. 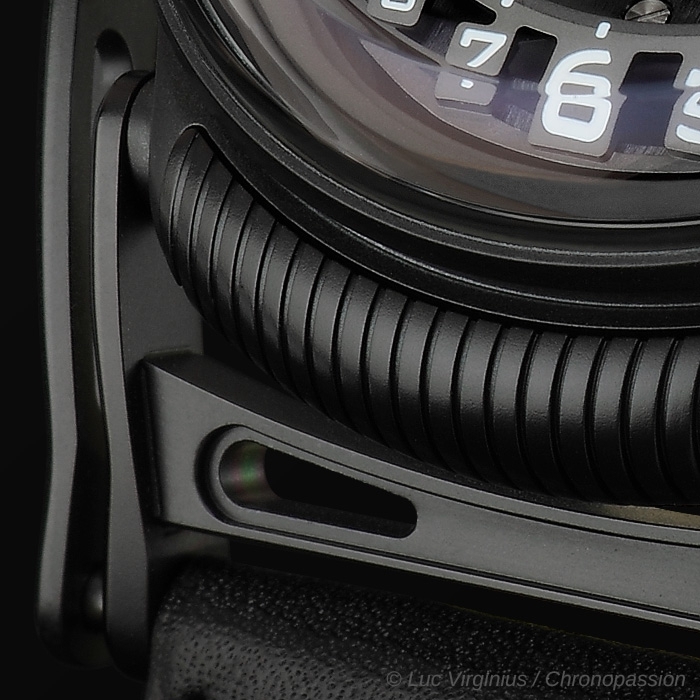 Case: The Experiment ZR012 case is made from zirconium, which is derived from the mineral zircon. Visually zirconium is similar to titanium and is highly resistant to corrosion. 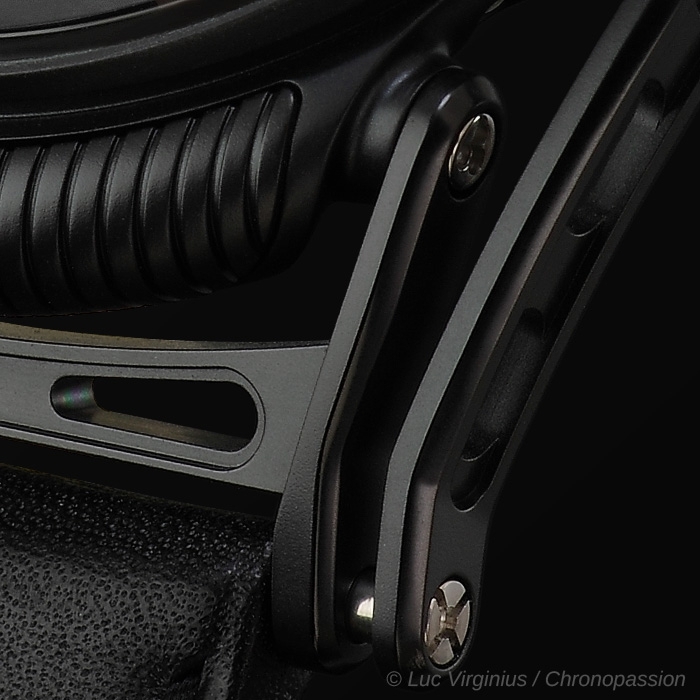 The case dimensions are 55mm x 44mm (excluding lugs). 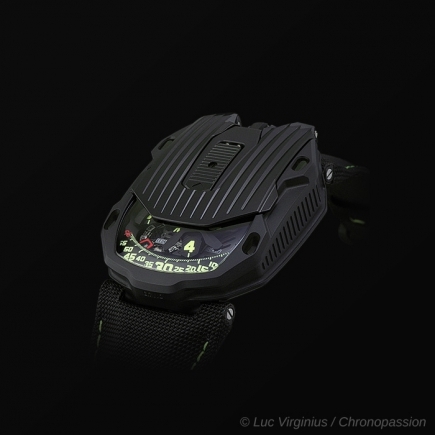 The articulated rear lug and compound front lug wrap ergonomically around the wrist and ensure a high level of comfort. 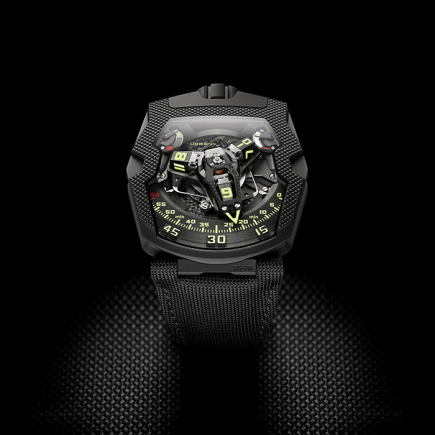 Power reserve indicator: Turning Experiment ZR012 over reveals the power reserve indicator. 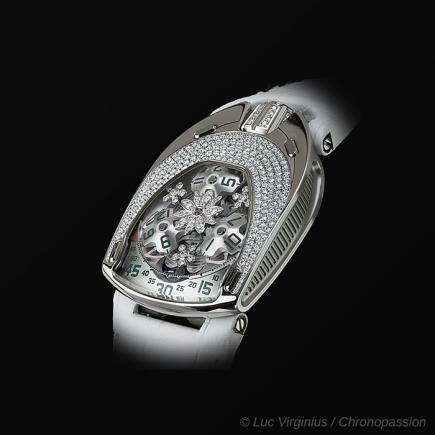 The movement has autonomy of 39 hours and is wound by a large screw down crown. In 1919, a 17-year-old German boy called Felix Wankel dreamt of a new type of engine. Despite no formal training, Wankel believed that he could design an engine in which the four stages of intake, compression, combustion and exhaust-took place in one rotation, rather than four separate reciprocations of a piston as in a normal engine. It was an ambitious goal, which others had been unsuccessfully attempting since the 16th century. In 1924 Wankel created a small laboratory to develop his rotary engine and eventually tested the first prototype in 1957, over three decades later. One of the main reasons development took so long is that Wankel’s orbital engine was based on a convex-triangle rotor rotating inside a epitrochoid combustion chamber. An epitrochoid is a very complex shape traced by a point on a small circle rotating around the perimeter of a larger circle and plotting that shape involves seriously complex mathematics. In standard internal-combustion engines, pistons reciprocate four times for every cycle of power; in the Wankel engine, power is smoothly generated each rotation with fewer moving parts enabling the motor to be lighter, more compact and more reliable than reciprocating engines. The epicycloid curve has been of special interest to astronomers over the centuries as the shapes are often found in the coronas of stars. Wankel was the first to use an epicyloid in an internal combustion engine. 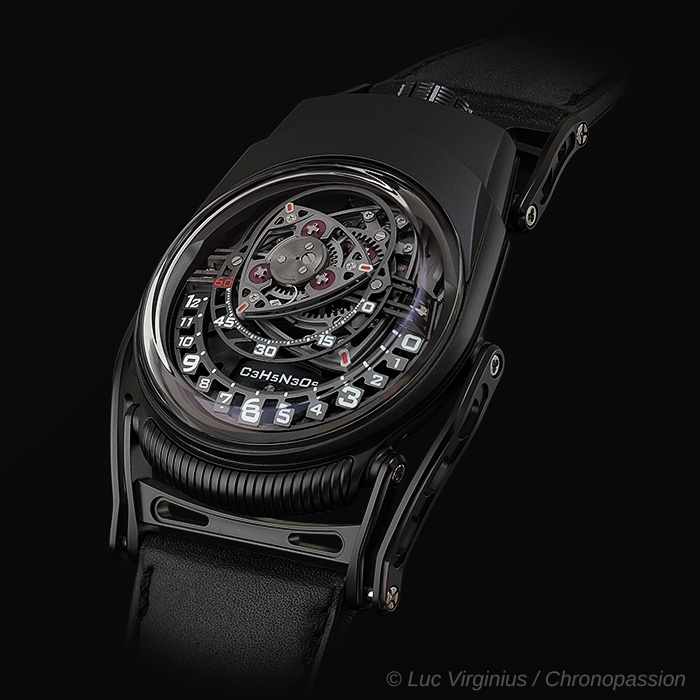 Experiment ZR012 is the first to use an epicyloid in a wristwatch. 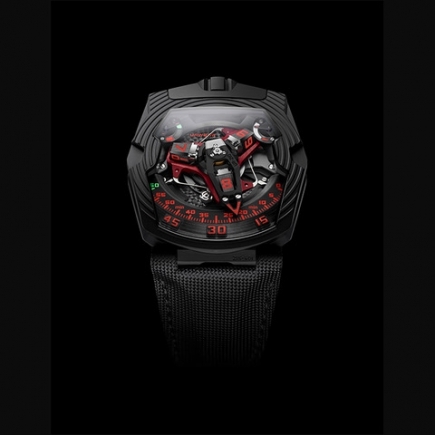 C3H5N3O9 is both the molecular formula for nitroglycerine and a horological experiment. Many of the most reactive (and most exciting) chemical reactions derive from combining seemingly innocuous ingredients. 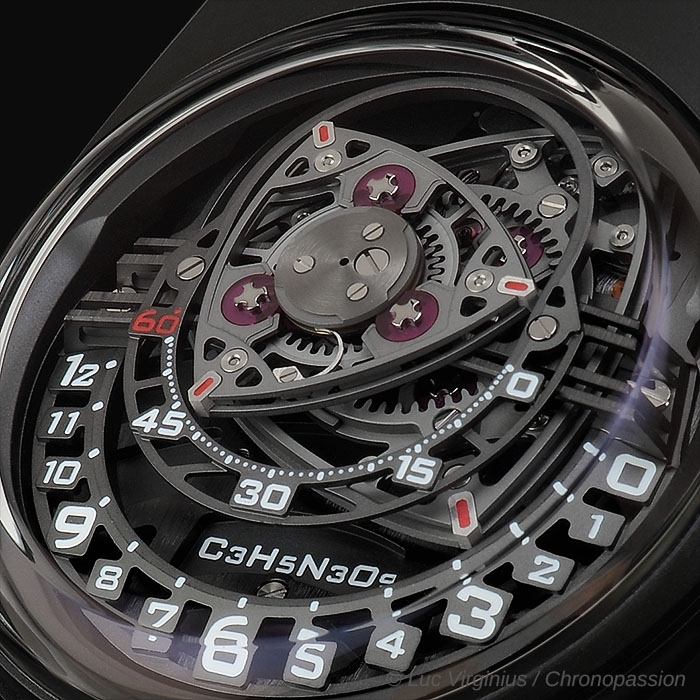 When Felix Baumgartner and Maximilian Büsser shared a pleasant lunch on a Geneva terrace in the summer of 2008, it started a horological chain reaction that four years later manifested as C3H5N3O9. 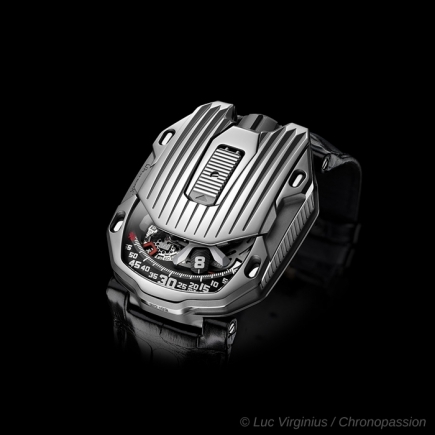 Urwerk founders Felix Baumgartner and Martin Frei had a concept featuring Wankel engine inspired indications that they had not yet developed, and they suggested their constructor Cyrano Devanthey could develop and produce a movement based on that. 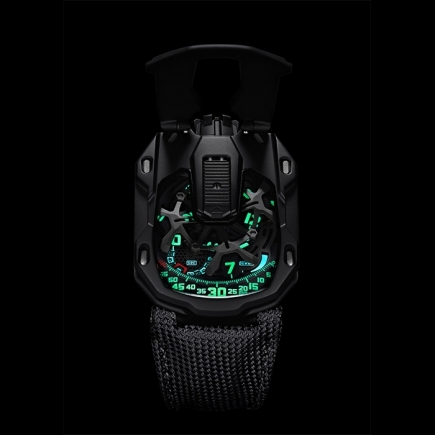 MB&F partners Maximilian Büsser and Serge Kriknoff teamed up with independent watch designer Eric Giroud to design and produce the case. Experiment ZR012 was born! Strap and buckle: Brown calf leather strap. Titanium and white gold folding buckle.